Recruiting practices by institutions of higher learning is an area fraught with deceptive and misleading practices, due to a number of competing incentives. While veteran recruiting practices differ from civilian recruiting in some respects – recruitment at military bases, discounts offered for veterans, focus on the military friendly culture of the institution – many of the practices faced by veterans are variations of common problems. 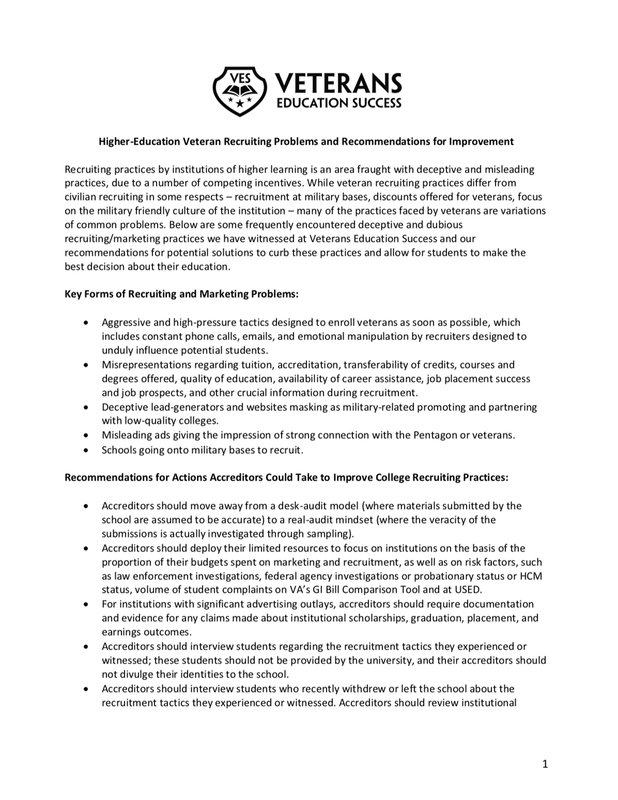 Below are some frequently encountered deceptive and dubious recruiting/marketing practices we have witnessed at Veterans Education Success and our recommendations for potential solutions to curb these practices and allow for students to make the best decision about their education.